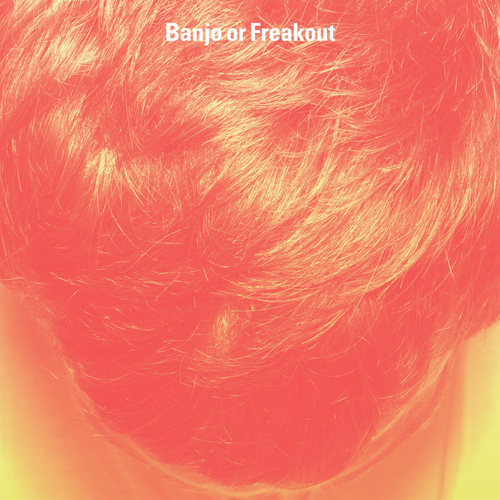 So we welcome Banjo Or Freakout’s subtly explosive self titled debut album on Memphis Industies. A heady collection of introspective beats forged with eyes cast towards blue skies; carefully constructed moments forged across borders and genre. Framing his album in blurry fuzztone cosmologies, Italian born and London based Alessio Natalizia makes stargaze pop that stares stellar, but with feet firmly set forwards from the sonic footprints left by artists like Kevin Shields, Can or Spacemen 3. “I think that it works when you want to be taken over, encompassed by music, when you are looking to lose yourself in something” Alessio says, and this ethos imbues itself throughout the richly textured sound of Banjo Or Freakout, melody that evokes visceral emotion and experience. A unique sound, where sonic invention meets timeless pop sensibilities in equal measure.